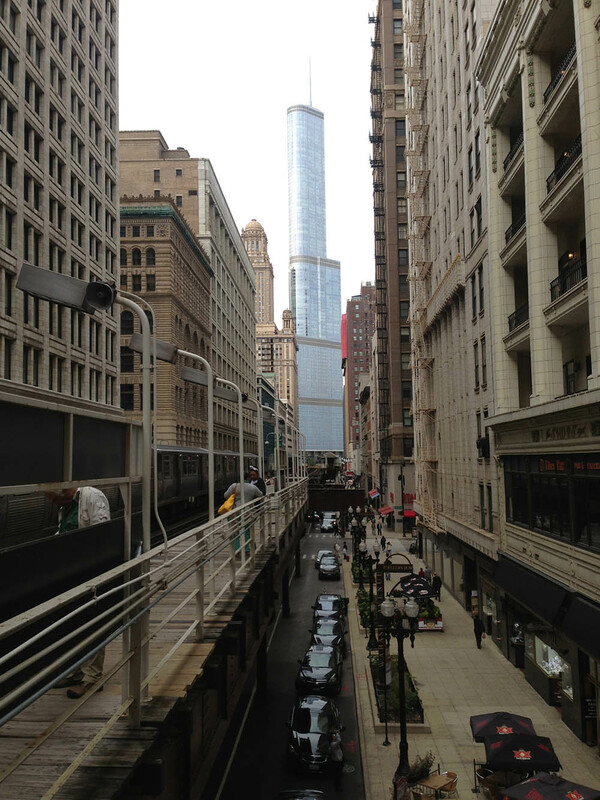 I have always loved infrastructure, which seems counterintuitive for an architectural historian,but isn’t really, especially one who grew up in the crucible of modernism, Chicago. 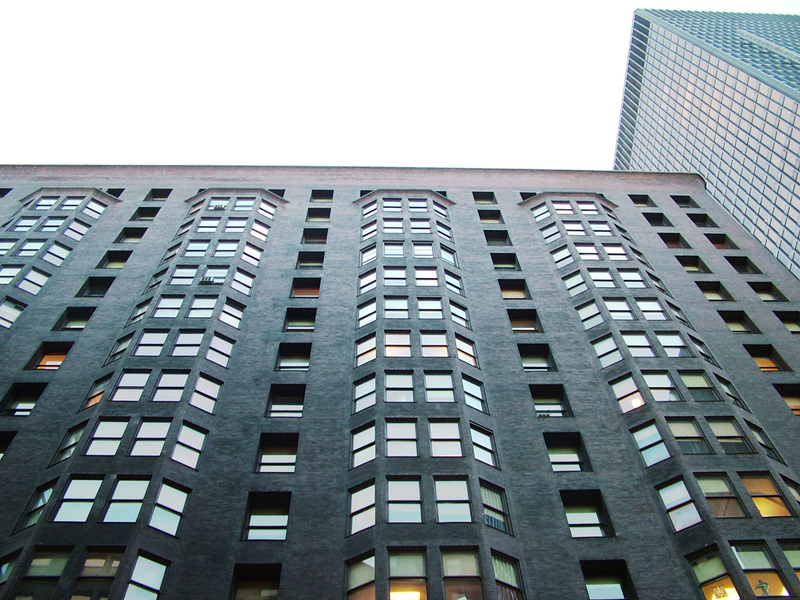 Modernism in architecture can be defined as an attempt to combine the three pillars of architectural art, Utilitas, Firmitas, and Venustas or Utility, Commodity and Delight. The idea was that the engineering that underlay the “beauty part” of the architecture has radically evolved in the Industrial Age but we were still using old clothes to dress it up. 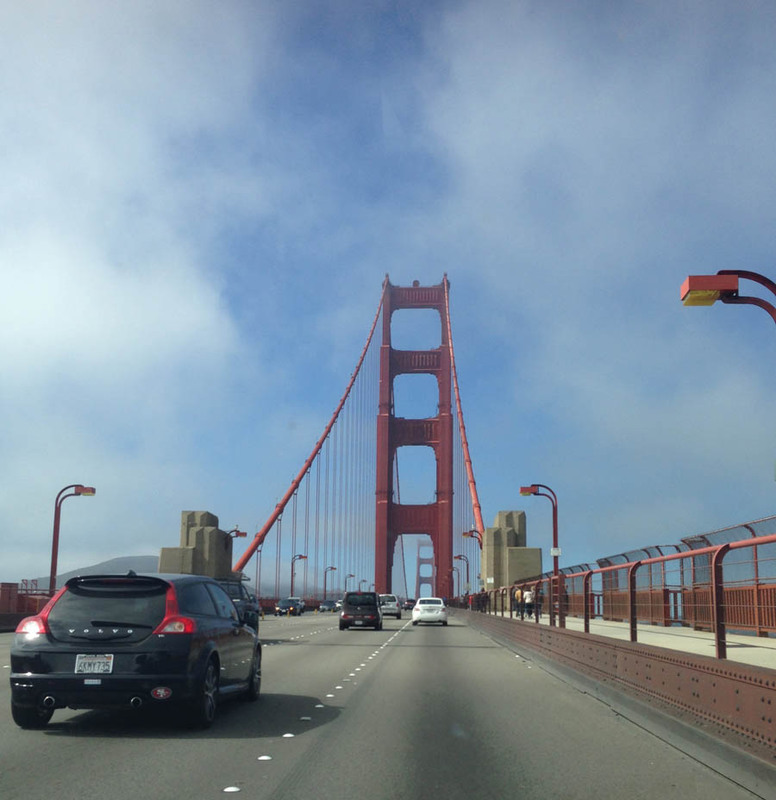 So I like infrastructure because it is the engineering of the place. 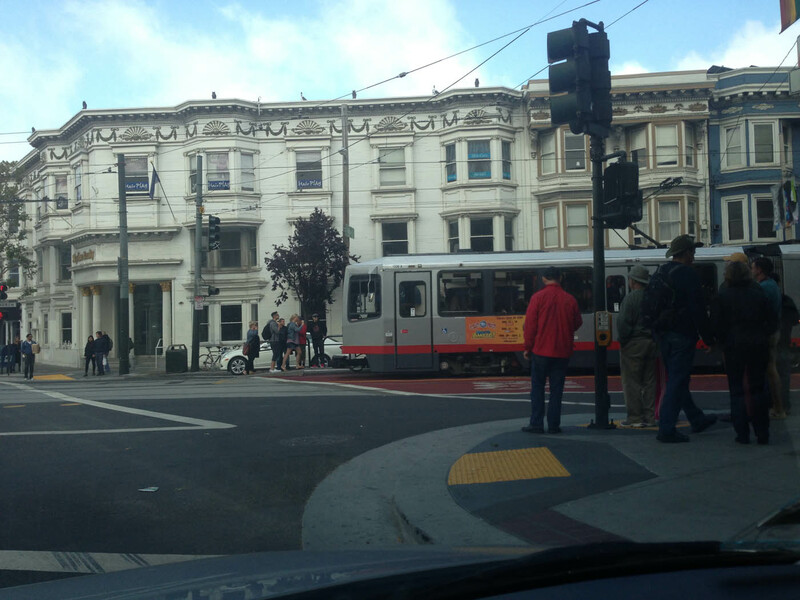 And I guess I always have – I was still in high school when I first visited San Francisco and for some reason my strongest memories were of the transportation infrastructure. 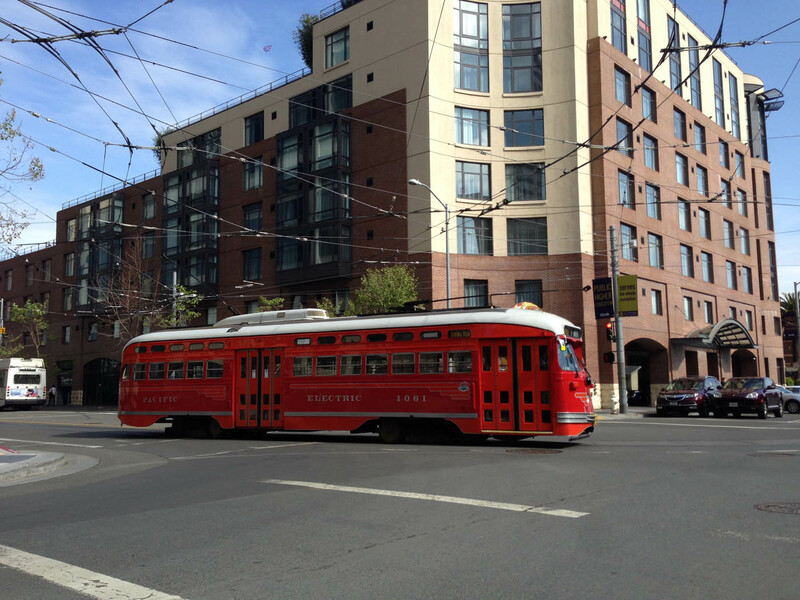 Now of course everyone knows about the cable cars, one of the few National Historic Landmarks that move. 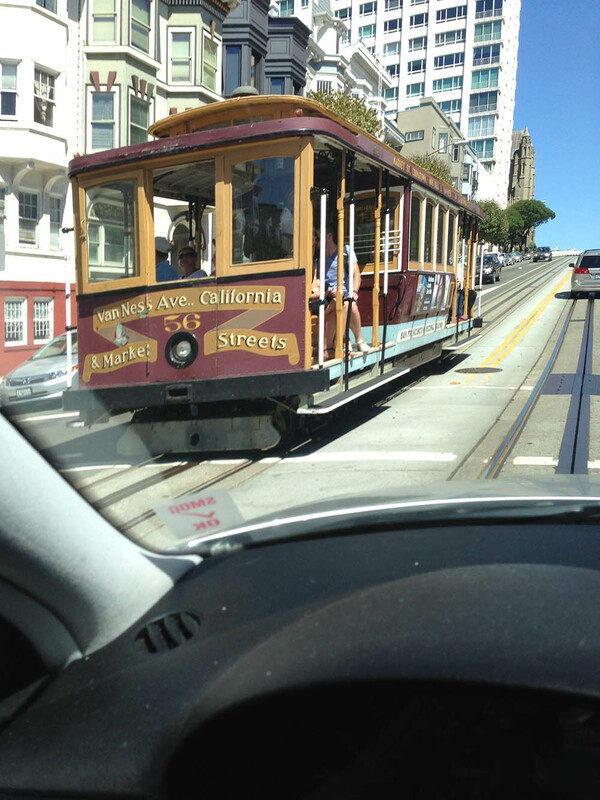 But I was also struck on that first visit by the layers of transportation technology. 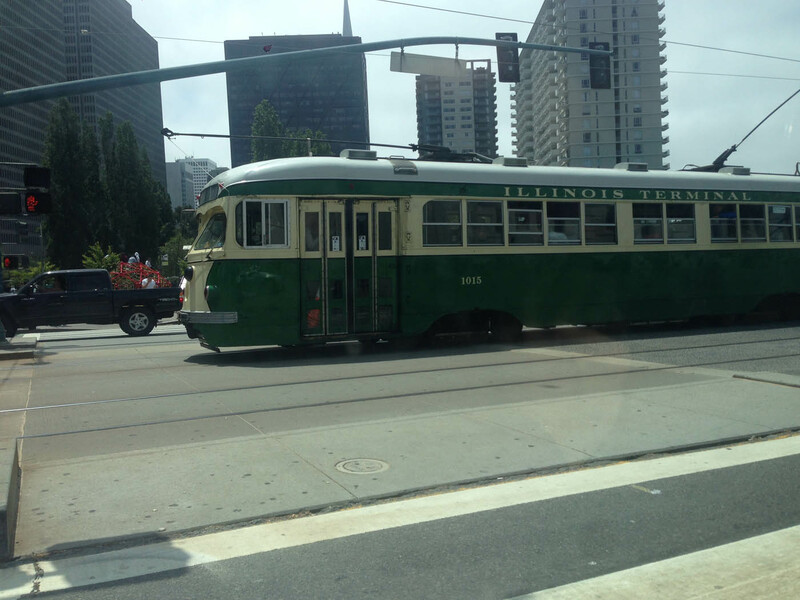 There were streetcars from the 1930s in all of their Roger Rabbit streamlined splendor; brand new BART trains with their boxy 1970s futurism; Muni buses both gas and electric; and even a horrific double decked highway along the waterfront that even a teenager knew had to go. Not to mention the bridges. 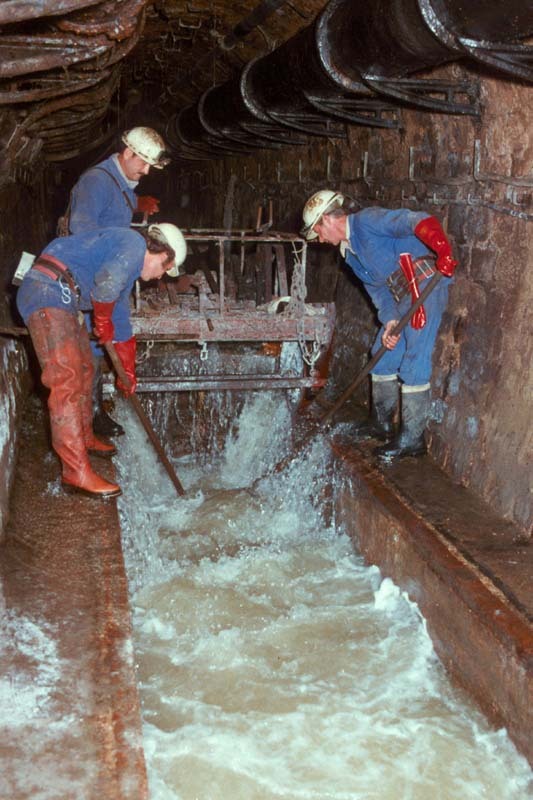 When I first went to Paris, the first tour I took was L’Egouts de Paris, which is the Sewers of Paris. This was in 1982. I even bought postcards. I remember bringing my daughter to the Lincoln home in Springfield and her memory was not of the formal rooms full of period pieces. Those things live on. What amazed her was the outhouse, a three-holer. I don’t have a picture of it, but I have this even more multitudinous one from the Roman occupation of Sabratha, in Libya. Things like sewage and subways are what make large civilizations and large cities possible. Carrying the night waste out to the fields is certainly sustainable, but only to a certain scale. 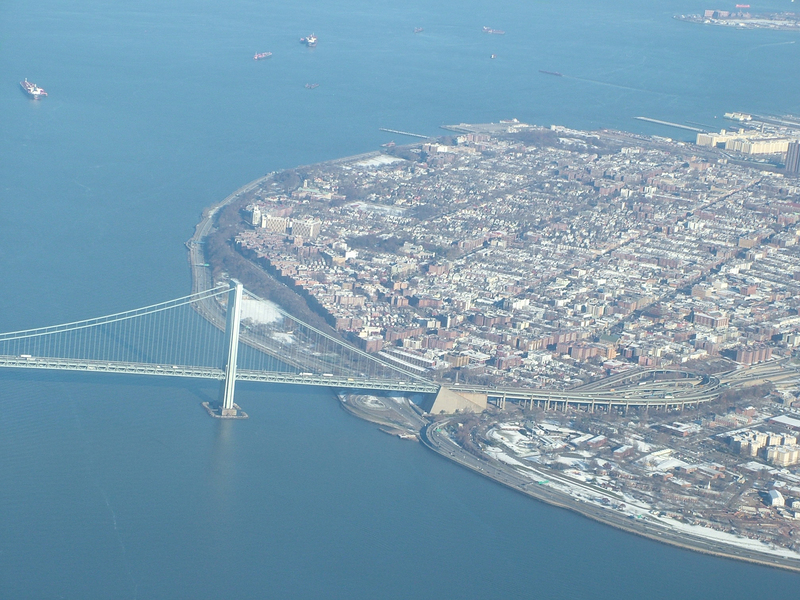 You want to house a million people you need barays and aqueducts and the Holland Tunnel and Verrazano Narrows bridge. 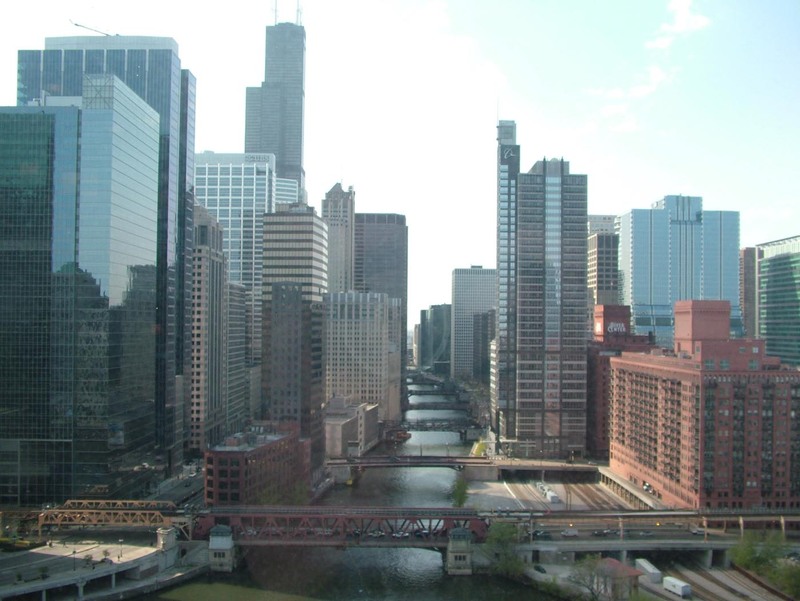 Besides a lot of cool modern buildings and the first skyscrapers, Chicago also had a vast number of moveable bridges, so I suppose there was a natural infrastructural love there. And then there is the famous Plan of Chicago, which Daniel Burnham and Edward Bennett authored in 1909, which everyone remembers for its beautiful Jules Guerin drawings that made the city look like Paris. 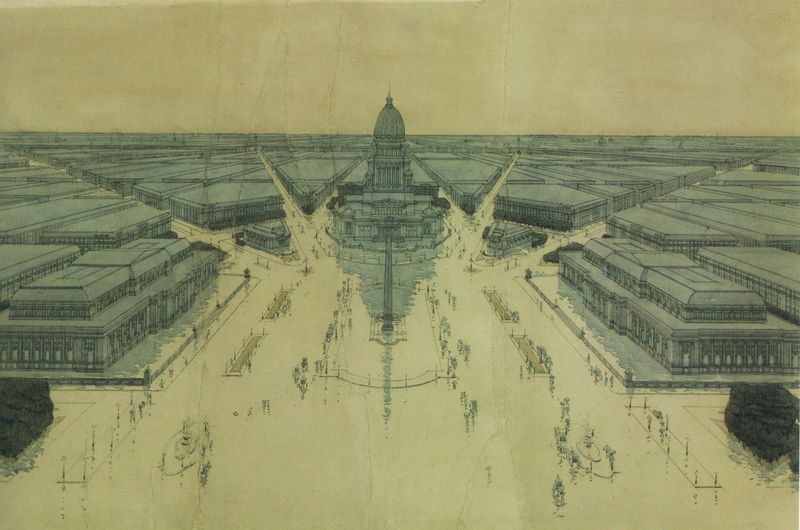 But as I pointed out long ago, the Burnham Plan was not about Beaux-Arts style. It was not about the Venustas of Hausmann’s Paris. It was about the Commoditas of sewage and transportation and other elements necessary for efficient urbanism. 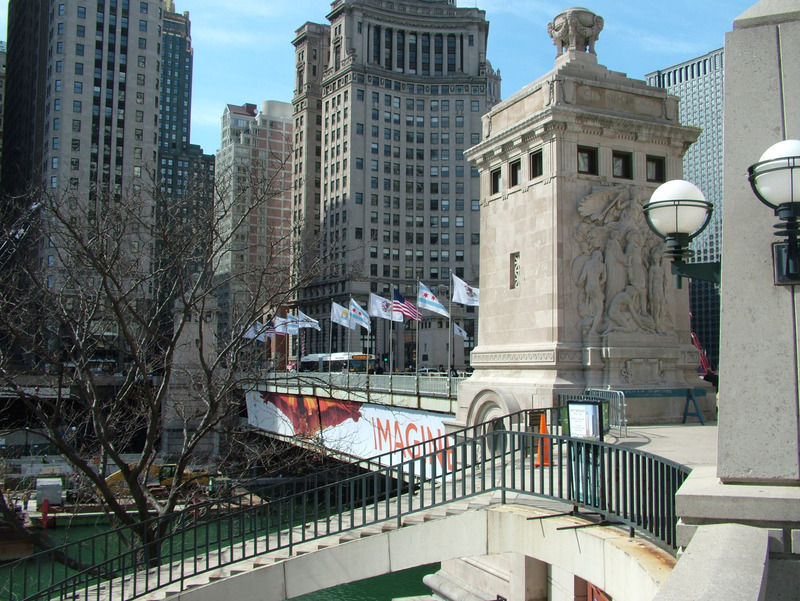 The whole point of the Beaux-Arts Michigan Avenue Bridge was not its balustrades and pylons and sculpture but the fact that it was double-decked and commercial traffic could move more quickly below. 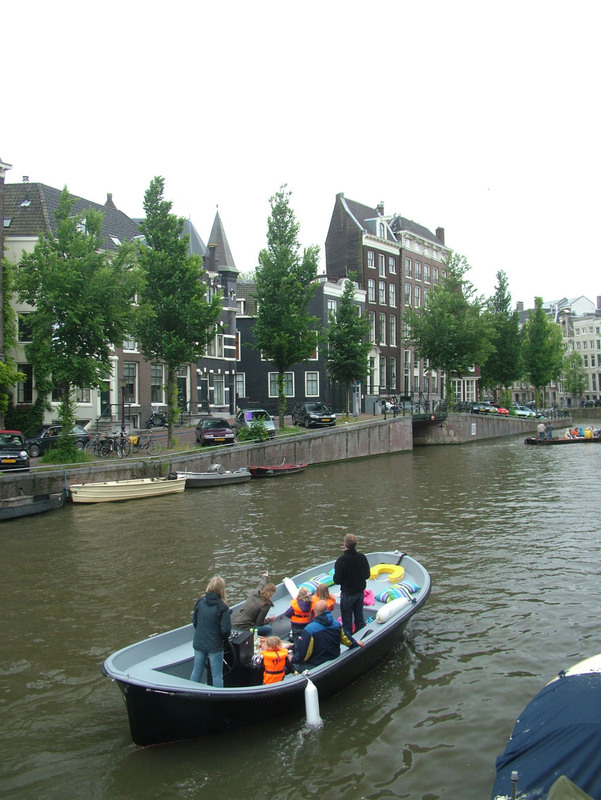 Amsterdam, which I also visited in 1982, had its amazing network of grachten or canals. One of the reasons I have always loved Pingyao in Shaanxi, China is that it retains not only hundreds of original courtyard houses that fomented the first Asian draft banking system, but it is one of the only cities to retain its entire city wall, and infrastructural feature of almost every medieval Chinese city, one that is gone almost everywhere else. And if you recall my post about Angkor Wat and Machu Picchu from 2012 what strikes me most about those monuments of Khmer and Inka civilizations is less their ornamented buildings than their amazing hydraulic systems that made those buildings possible. 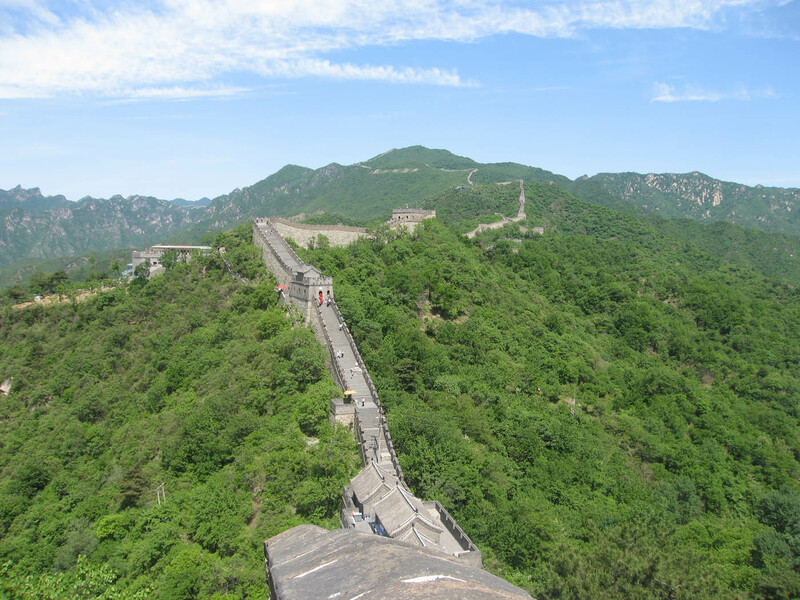 Chinese canals, Roman aqueducts, dams and railroads are all the vascular systems of civilizations, and in this way the most significant remnants of their might. We tend to personalize everything. 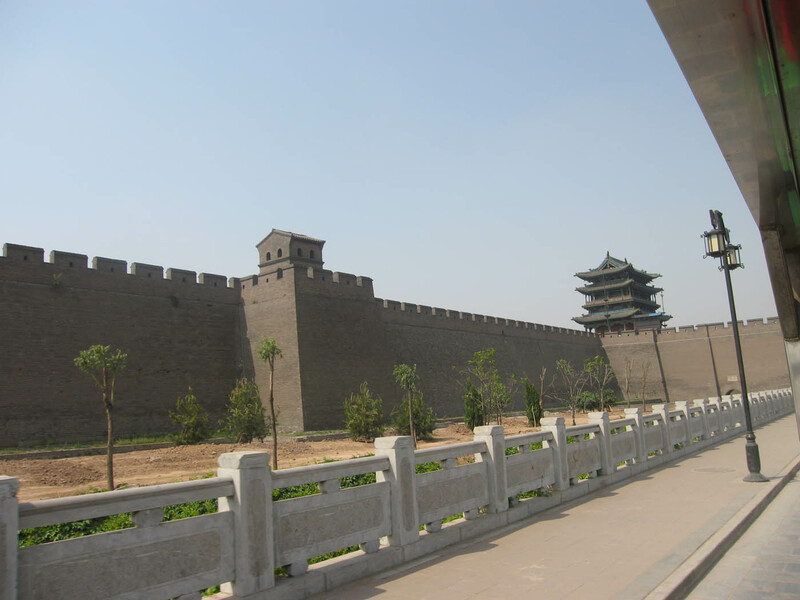 The old kind of history focused on battles and leaders, which is arguably less significant than supply chains. The United States entered World War I and helped the allies win why? Strategic brilliance? Raw numbers? No, the fact that they could not only transport a million men across the ocean but they could KEEP THEM SUPPLIED. Napoleon said an army travels on its stomach. The Confederacy had plenty of courage and lots of good generals but once every port was blockaded, it was over. But both history and heritage conservation have moved over the last half century toward the WHOLE story, not the personalized one. This is not to say great actors cannot affect history, but the bottom line is always going to have a canal or a highway or an oil refinery or a water main in it. 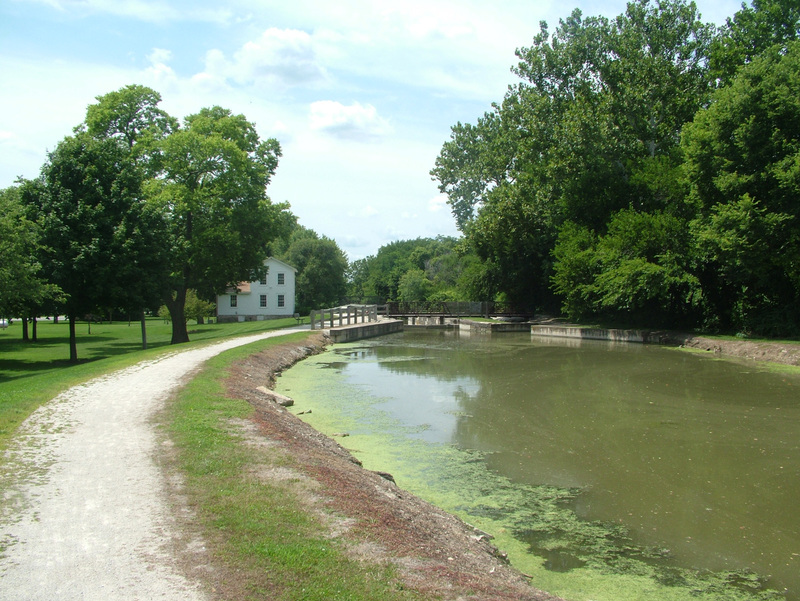 My first job was working to help create the first heritage area in the United States, the Illinois and Michigan Canal National Heritage Corridor, which followed an 1848 canal 100 miles across the Illinois plain to Chicago. I remember some people spending an inordinate amount of time trying to prove that Abraham Lincoln had traveled on the Canal. He probably did, and he certainly knew of its significance, and of course five years ago they put a statue of him along the canal in Lockport. But why do we need to attach a celebrity to something to make it historic? Isn’t the second most successful canal in North American history good enough? 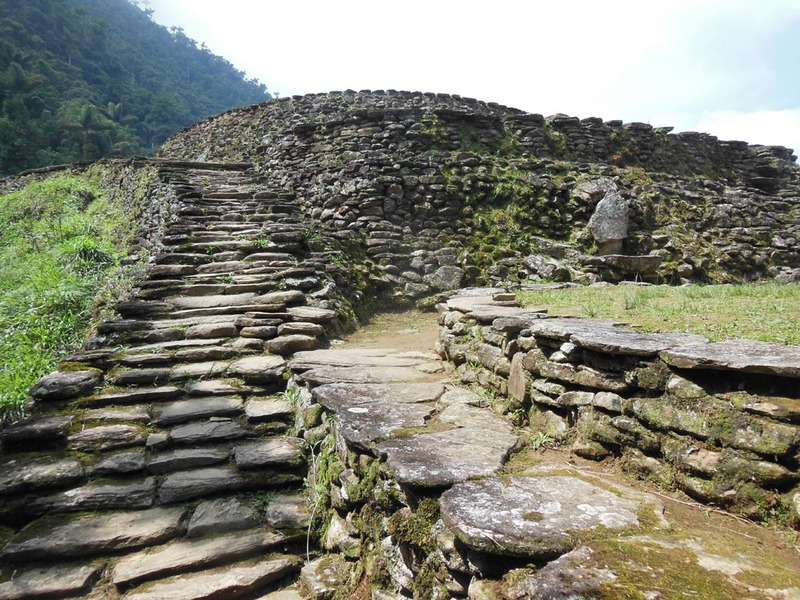 When I visited Ciudad Perdida last year, I marveled at the stone platforms built by the Tayrona in the Sierra Nevada de Santa Marta mountains of what is now Colombia. They were simple but as you traveled from platform to platform on stone staircases in a wet mountain jungle you suddenly realized that the Tayrona had done for their jungle what Daniel Burnham was trying to do for Chicago a century ago: make things move more efficiently. 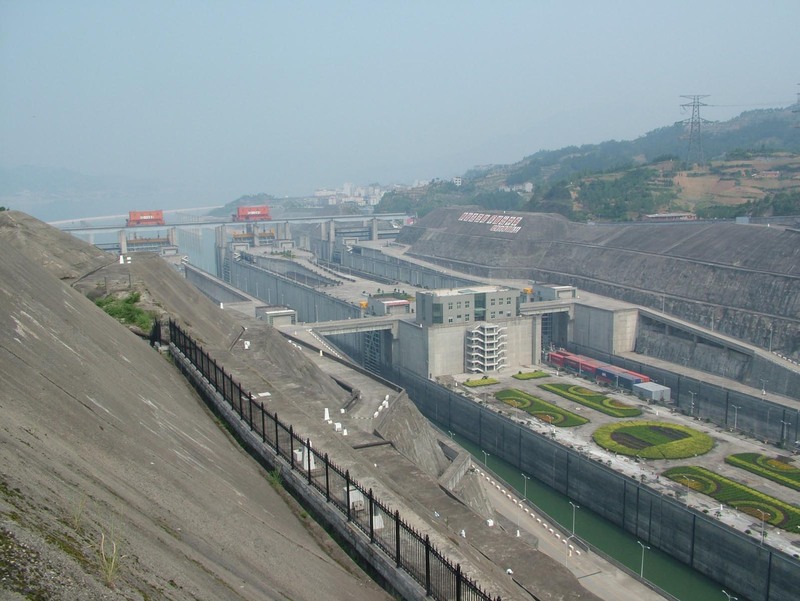 The Three Gorges Dam in China falls into an unbroken tradition of canals in the Middle Kingdom that dates back thousands of years. There is an architectural boldness to certain large empires, but it is always preceded by an infrastructural boldness of equal dimension. And boldness can become hubris. The stepwells of India I wrote about recently here are another example of infrastructure that has finally been recognized as World Heritage, thanks in no small part to their beauty, but also their engineering. 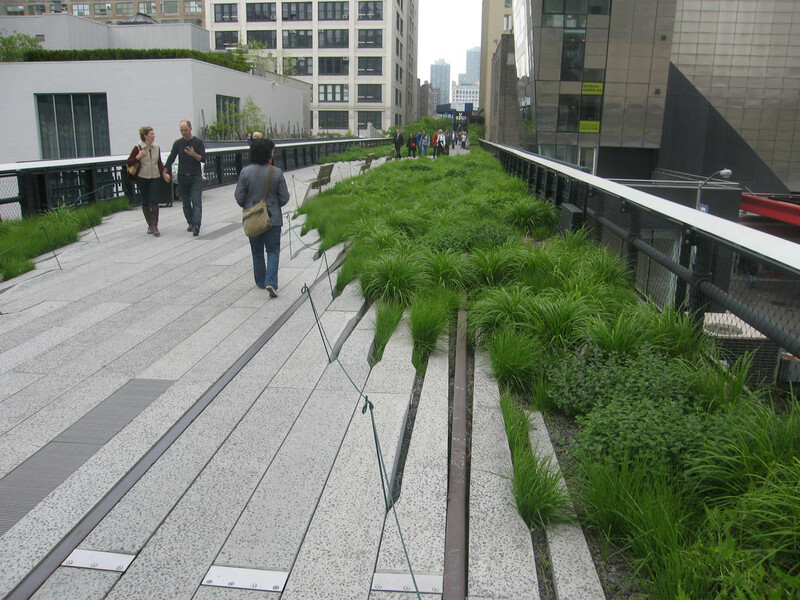 My experience with the I & M Canal was prescient – I wrote two years ago here about how the hottest thing in urban design was repurposing old elevated rail lines into recreational attractions, most notably at New York City’s High Line. 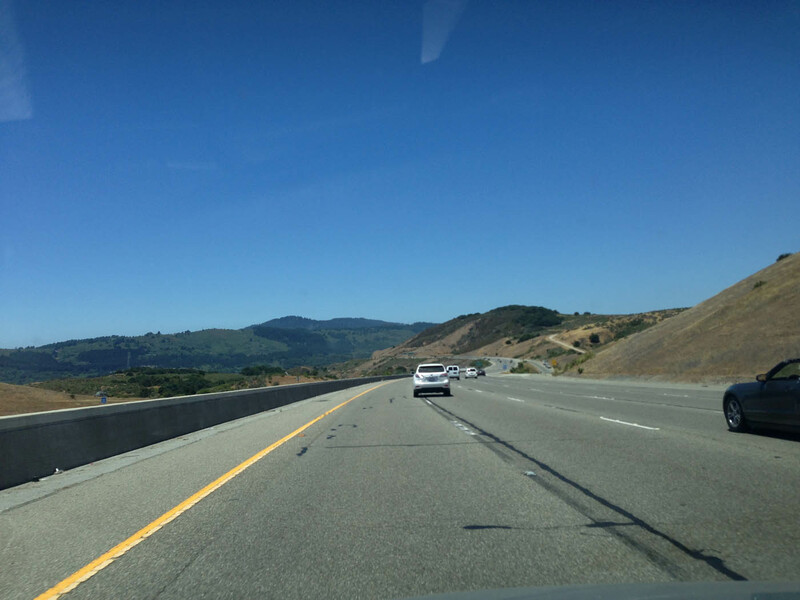 Even the national expressways are now historic, an expression of that same good old American know-how that ran a supply chain across the Atlantic nearly a century ago. I remember watching the wonderful 1947 film noir Call Northside 777 which was filmed entirely on location in Chicago and Joliet prison and saw these huge cylindrical steel structures that held gas tanks, an infrastructural element that had vanished from the Chicago landscape but can still be found in other parts of the world. 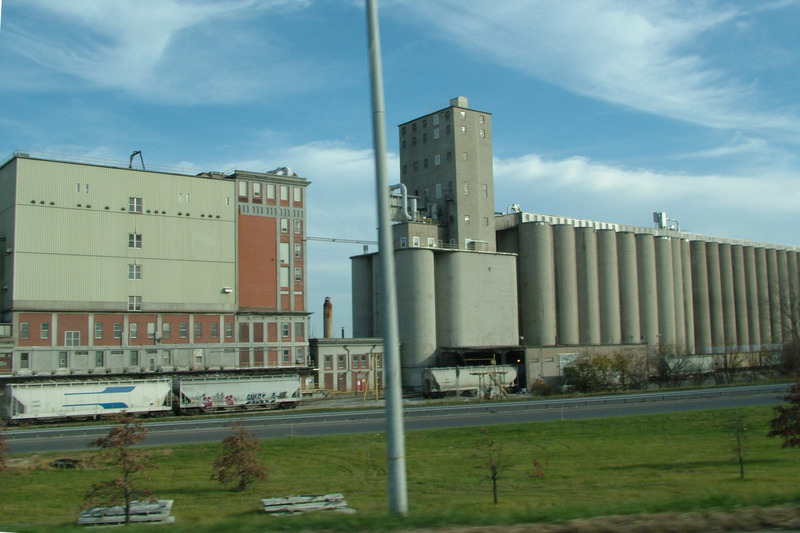 And then there are the grain elevators…. 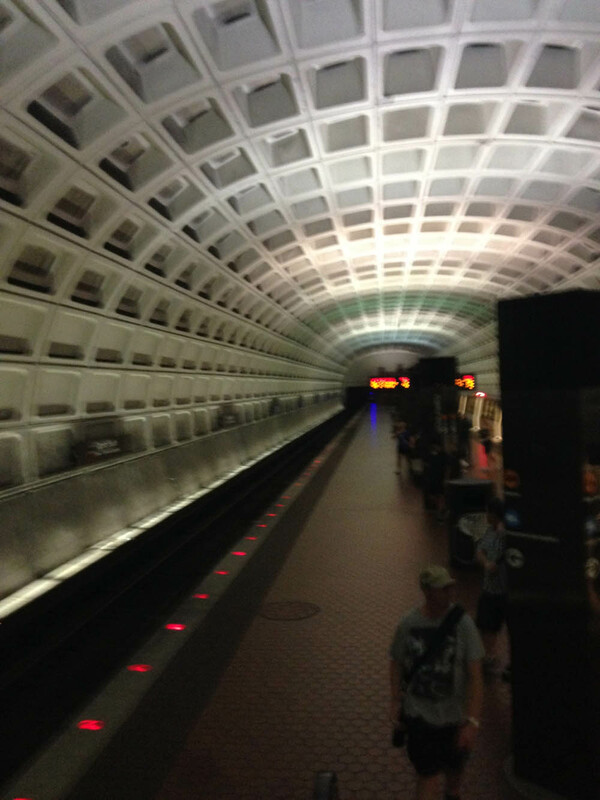 I spoke to Bob Bruegmann when he was writing his book on Harry Weese because he had come to the conclusion that Weese’s greatest work was not a building at all, but his design of the Metro in Washington, D.C. He was right. 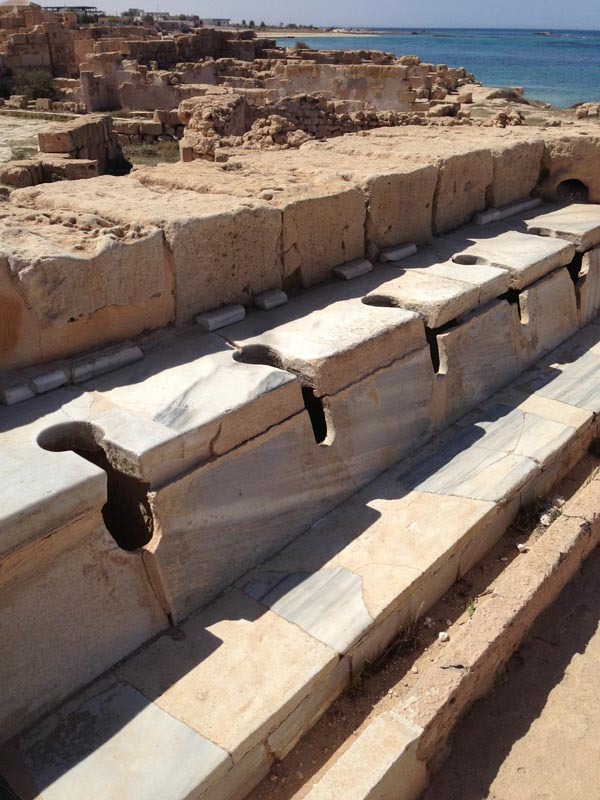 Like the Baths of Caracalla…. 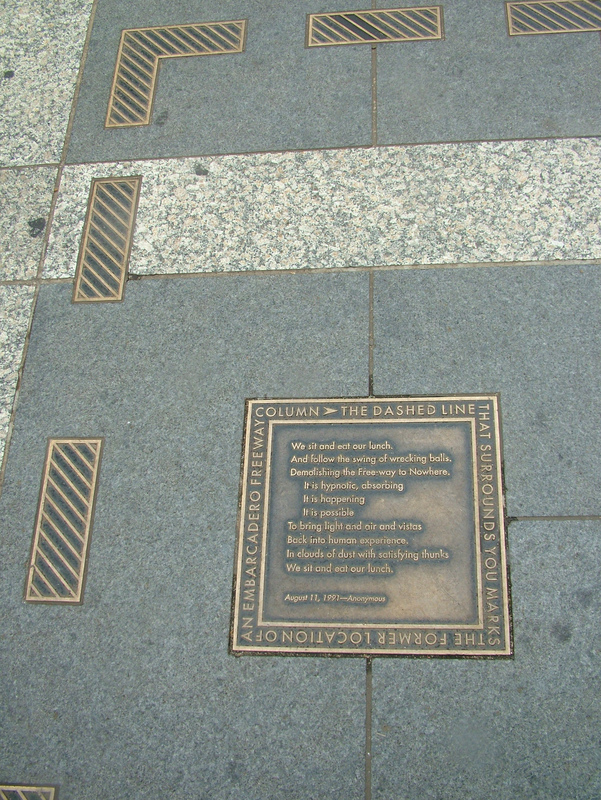 This entry was posted on September 8, 2014 at 12:06 am and is filed under Uncategorized. You can follow any responses to this entry through the RSS 2.0 feed. You can leave a response, or trackback from your own site.